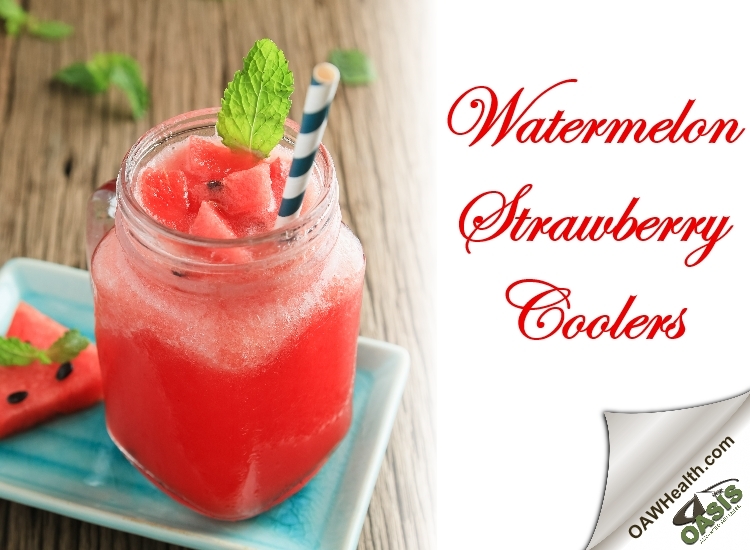 Strawberries and watermelon have long been the perfect summer pair. In this light, vitamin-packed homemade cooler, we think they shine particularly bright. Put strawberries, watermelon, ice and sugar into a blender and purée until smooth. Pour into tall glasses and top off with sparkling water. Garnish with mint and serve.